Taylor Gerring is a Blockchain Consulting Expert and creator of "Blockchain WTF." After working on the Hive digital currency wallet, Taylor served on the Board of Directors for the Ethereum Foundation and is currently an international speaker and educator, focusing on how blockchain can improve governance and society. Disclaimer: I am an active participant in the Ethereum project and part of the organization along with Vitalik Buterin and Mihai Alisie. If you aren’t yet hip to Ethereum, let me tell you just how excited I am for this project! I’ve never believed in the social value of altcoins, but Ethereum is something special, just like Bitcoin was special compared to eCash. In essence, Ethereum takes the blockchain/consensus technology and wraps a new system around it, such that Bitcoin is just a currency. And what is currency but some digital asset? Except digital assets can represent something more than a specific sequence of bits–they can represent an idea. What if that idea is a legal contract? If the network participants agree on the contract status via blockchain consensus, it’s easy to see how one could extend this idea to work for a multitude of needs including escrow, voting, betting, futures contracts, or really any mathematical expression described by a Turing-complete machine language. And it will all automatically run in “the cloud”. Welcome to the new world of Distributed apps–or Dapps. Combined with BitTorrent-like swarm technology this can give birth to a system whereby storage resources are compensated with what I’ll call “Internetcoin”. Whatever the digital asset is, the fundamental technology to auto-exchange it through a Ripple-like network to Bitcoin or any preferred local currency makes the world of infinite niche altcoins a reality. The net effect is that static server resources can easily be distributed amongst peers who are economically incentivized to participate. Interestingly, in P2P networks, the content moves faster and grows stronger with demand instead of straining under load. Finally, we can all have our fill of no-downtime celeb newsutainment while also working to turn the issue of Net Neutrality into a moot point. However, the implications are much larger than demand resilience. Free speech sites which offend governments will be much harder to suppress and shutdown, because both content and name resolution (“DNS 2.0″) will exist in the distributed P2P realm. As with any technology, this will be a boon even to those that we deem unsavory. Ideas will be allowed to flourish with the responsibility of content monitoring squarely laid on ourselves, not governments or ISPs. The new internet will support usage for both the web at large and more underground “dark internet” sites. Use of an illicit resource exists as social pressure rather than a legal one, as the latter will have no legitimate recourse. In the future, all devices can serve as P2P participants independent of a dedicated internet connection. Imagine being in an airport. Why not peer with devices around you to find content specific to your area–perhaps a listing of bars closest to your gate? Limited not to just sharing over the internet (for example, Bluetooth or WiFi sharing), content begins to exist in a real physical space, counter to our goal of moving away from physical presence as importance–just look at telecommuting today. Given decreasing popularity of some resource, it’s possible that no interest exists and the swarm dies. Of course, nothing stops an organization from running seed servers to ensure continued availability. In this new reality, it becomes entirely conceivable that mesh-like internet sharing takes over as a content delivery system instead of at the ISP peering level (though both would be welcome to increase the possibility of content being cached and delivered from a more local source). Chicago news will swarm more heavily in Chicago than in Munich. But instead of relying on some predictive algorithm like trending Twitter topics, the popular content will automatically rise to the top via sheer availability. It will be like viewing the crowd from a stage instead of being told who has the most influence. The first world is not the only application for this new Internet. Assuming basic economics hold true, the value of an Internetcoin should reach some free-market price partly governed by the real economic cost of participating as a node versus the benefit from financial incentives. On a longer timeline, the minute value of participating as a node in the developed world may not nominally be worth the cost of participating. However, in third-world countries, even dilapidated technology long since leaving the shores of the China could be put to use to generate minuscule amounts of Internetcoin which might be the difference between food and starvation. So, in one development arc, given the right goals and incentives, we can overhaul the internet to be more flexible, robust, dynamic, local, economical, and inclusive. Every participant makes the network more resistant to external attacks and we incentivize others to participate through real economic and social value. This kind of revolutionary technology advancement will clear the path for the fuzzing of geopolitical borders, instead allowing communities to decentralize and self-govern based on their specific needs. Goodbye political administrative overhead, you’ve been useful, but now it’s time for real democracy. Welcome to Ethereum, where the only limit is your imagination. Interested in getting involved? 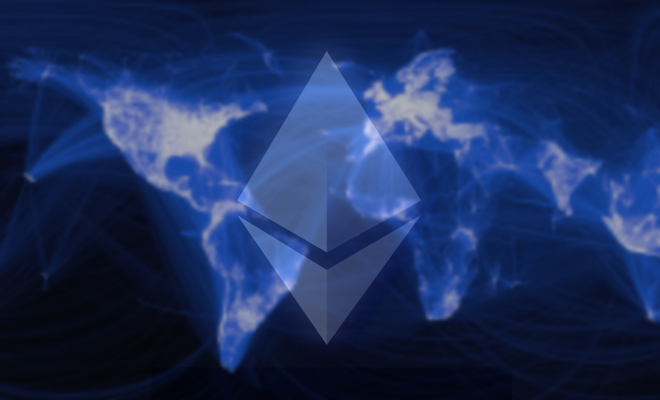 Signup at www.ethereum.org, read blog.ethereum.org, or help out on github.com/ethereum. 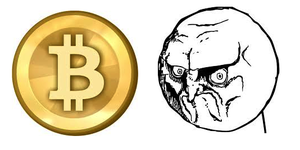 Does Bitcoin Have an Image Problem? Three Reasons It Shouldn’t.